My Comments: When the last crunch time came in 2008 and 2009, I vowed to find a better solution for my clients. The idea of losing 30% or more of the value of your retirement holdings over the course of a few months is devastating. For many, it’s taken years to get back to where they were. What I found was an investment manager in Tacoma, Washington, that takes what is called a tactical approach to managing money rather than a strategic approach. The strategic approach still works for pension funds, insurance companies and foundations. They know they are in for the long haul, and that if they own good companies and safe bonds, if they are down today they will be up tomorrow. Only their tomorrow can be several years down the road. For many of us, tomorrow is just that. Or perhaps next month or maybe next year. In the meantime we have to be able to sleep at night. This requires an approach to investing that allows us to be in cash overnight, with a possibility of going short if the signals tell us that a downward trend is upon us. The dilemma I face as an advisor is that taking this approach means that you don’t capture all the upside, and clients are critical as they feel they are missing out on some of the historic upswing. I try to tell them it won’t last, but some of them don’t believe me. But I’ve been posting articles lately that suggest a reversal is soon to come. These comments by Joseph Calhoun bear me out. If you are worried about your circumstances, give me a call, and I’ll try and share with you what I think is likely to work in your favor. It is said that Joe Kennedy got out of the stock market in 1929 because he started to hear stock tips from his shoeshine boy. Bernard Baruch had similar feelings: When beggars and shoeshine boys, barbers and beauticians can tell you how to get rich it is time to remind yourself that there is no more dangerous illusion than the belief that one can get something for nothing. What Baruch was pointing out was that the marginal buyer of stocks – the shoeshine boy – really didn’t know much about the markets and was most likely buying for reasons that had little to do with the underlying fundamentals. The shoeshine boy was buying because the market was going up and he saw it as an opportunity to get rich and stop shining the shoes of Bernard Baruch and Joe Kennedy. He was buying not because he believed the economy would perform well in the future or because he had some deep understanding of the fundamentals of the companies in which he was buying stock. He was buying because everyone else was doing it and getting rich and he wanted to claim his piece of the profits. I have said many times that the economy is not the market and the market is not the economy. What I mean by that is that current stock prices are not just a reflection of the current economic data but also incorporate a view of the future economy. It is only in the future that you will find out whether that view of the future as captured in stock prices is correct. But whose view of the future economy? In 1929, for Bernard Baruch and Joe Kennedy, it was the marginal buyer, the shoeshine boy’s view of the future that was moving prices. And they were uncomfortable staking their fortunes on the views of the shoeshine boy or the barber or the beautician. So when I look at markets – any market – I always try to think through who the marginal buyer is, who is moving prices. You don’t see shoeshine boys much anymore so we can’t just go down for a shine and ask him about his views on the market or the economy. But it is still possible, to some degree, to suss out who the marginal buyer is and judge whether you want to risk your capital on their opinion of the world. I remember reading an article in the Miami Herald in about 2006 that showed pictures of people camping out in a tropical storm for the chance to purchase a pre-construction condo. Those were the people driving up the price of housing and that’s when I knew there was something seriously wrong with the housing market and that it probably wouldn’t end well. Normally rational people had seemingly lost their minds in pursuit of riches in the condo market. They were the shoeshine boys. I had similar feelings about stock buyers in the late ’90s when there were numerous articles about people quitting their day jobs to day trade full time. For me that brought back memories of an old trader who told me early in my career that one “shouldn’t bet the milk money on the markets.” Of course, just because the shoeshine boy is buying stocks that doesn’t mean that they are due for a fall. There may be a supply of shoeshine boys or day traders who have yet to commit their milk money to the market. It isn’t until the market runs out of shoeshine boys or to put it in the modern lexicon greater fools that the market will shift. All markets are about the tug of war between bulls and bears and it is the marginal participant that makes the difference. If the market is in equilibrium and the bulls on one end of the rope can coax a bear to come over to their side, the market will rise. If a bull pulls a muscle, the market rope may move toward the bears. It doesn’t take all the bears or bulls to go to one side, only a sufficient number – enough at the margin – to tip the scales. And the rope will continue to move in the direction it is going until a sufficient number of rope pullers, bears or bulls, switch sides and a new equilibrium is reached at a new price. 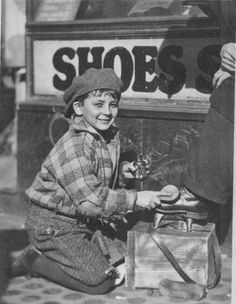 I don’t think we are at the shoeshine boy level in the stock market just yet, but we do seem to be moving in that direction. The group on the sellers end of the rope over the last 18 months are private equity firms, venture capital firms and corporate insiders. The buyers end of the rope is populated by individuals, companies buying back their own stock and that of other companies (takeovers). The question you have to ask yourself is which team you want to be on; who do you want your teammates to be? The buyers have a poor long-term track record while the sellers are a pretty savvy group overall. Do you trust the companies buying back their own stock with company money or the insiders exchanging their own stock for cash? Whose view of the future is likely to be correct? The venture capital firms shoveling out IPOs at a pace second only to the peak of the dot com mania? Or the people scrambling to get in on the latest hot IPO with dreams of Alibaba riches in their heads? We should also consider the divergent views of the bond and stock markets. The bond market shows high yield spreads widening, inflation and growth expectations falling and the long end of the yield curve flattening to levels last seen in the early months of 2009. That is a fairly bleak view of the future. The stock market would seem to be predicting the opposite, an acceleration in growth and profits that justifies paying above average multiples for stocks. It seems unlikely that both markets can be right but we don’t know yet which one has the correct view of the future. It may be that as the biggest marginal buyer of bonds – the Fed – stops buying that the bond market will shift to mirror the view of the stock market. But with the Fed reducing bond purchases all year and the bond market rising anyway, it appears there are still sufficient buyers at the margin to replace the demand of the Fed. One warning sign for both stock and bond investors is the recent rise in volatility. It started first in the currency markets and is now starting to move to stocks and bonds. Volatility is essentially the opposite of liquidity so the rise in volatility is a warning that liquidity is drying up as the Fed ends QE. That is consistent with what we saw at the end of previous periods of QE and the view that tapering is indeed tightening and those trying to time the first rate hike are concentrating on the wrong thing. We won’t have to wait long to find out as the Fed will end their bond and mortgage purchasing next month. Who will win the tug of war in the bond and stock markets? I don’t know of course since I can’t see the future. But like Bernard Baruch and Joe Kennedy, the marginal buyer of stocks right now makes me uncomfortable. Greed is the dominant theme of these buyers with FOMO (fear of missing out) driving their purchases. It may be that the bulls can continue to coax more bears to the bull side of the tug of war but the bear side of the rope is getting pretty thin. Did you ever see what happens when one side in a tug of war gives up?